Following Chief Victor’s death in 1870, President U. S. Grant issued an executive order demanding the Salish remove to the Flathead and sent General James Garfield in 1872 to force their consent. When Victor’s son, Chief Charlo, refused to sign the “agreement,” Garfield forged Charlo’s “X” on the document and the United States seized most of the tribe’s land. Three hundred Salish people refused to leave, and instead worked hard to maintain peace with the increasing number of intruding whites. Many Salish families, including the Mary Ann’s, built log homes, took up farming, planted orchards and vegetable gardens, and minimized their traditional seasonal travels. Her family got along well with their white neighbors. The Salish even refused aide to their allies, the Nez Perce, during that tribe’s conflicts with the United States in 1877. The Salish hoped that such efforts to maintain good relations would appease the Americans’ determination to drive them from their homeland. Over the next twenty years, however, Americans continued to trespass into the disputed territory, establishing new towns and building a railroad for the timber industry. Just after Montana became a state, Congress ordered General Carrington and his soldiers to remove Chief Charlo’s tribe to the Flathead. On October 14, 1891, armed soldiers evicted three hundred Salish, some of whom left on foot. 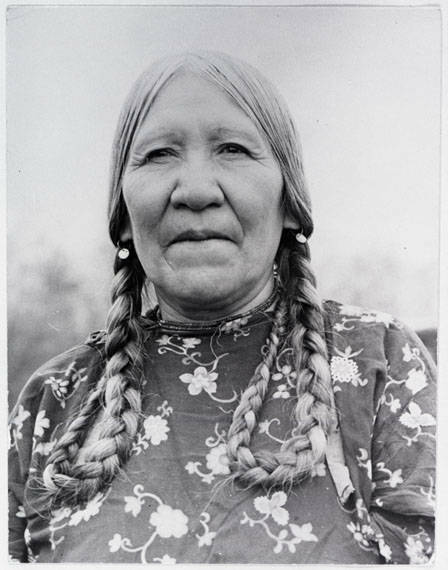 Later, Mary Ann recalled that “everyone was in tears, even the men,” and said the procession was like “a funeral march.” Other elders who had been children at the time of the removal remembered women weeping as American troops marched them through Stevensville in front of white onlookers. The government promised to compensate the Bitterroot Salish for the homes, crops, and livestock they left behind, but it was an empty promise. So, too, was the government’s promise to provide for their survival on the Flathead Reservation. 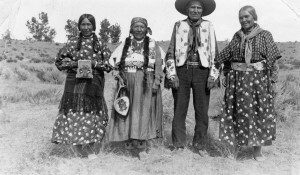 Mary Ann’s family lived in poverty on the new reservation, where the rocky soil made farming difficult. Mary Ann attended two years at the Jocko agency school, but never learned to speak English fluently. As a teenager she worked as a laundry maid for Indian Agent Peter Ronan’s family. While working for the Ronans, she met Louis Topsseh Coombs, whom she later married. They raised a family on the Flathead Reservation, and many years passed before Mary Ann Coombs returned to the Bitterroot. 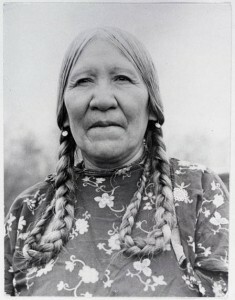 By the 1970s, only three of the hundreds of Salish people who had made the sorrowful trek from the Bitterroot to the Flathead were still alive, among them Mary Ann Coombs. In 1975, those three joined several descendants on a trip back to the Bitterroot. During the journey the elders recounted childhood memories and tribal histories associated with particular places. They visited the graves of ancestors and showed younger relatives places where generations of Salish people had gone to receive medicine through visions. Adams, Louis. “Salish Removal from the Bitterroot Valley.” Lewis & Clark Trail – Tribal Legacy Project (transcript of video). Video of same. Accessed November 5, 2013. “Ancestors Remembered during Bitterroot Valley Treks.” Char-Koosta News, September 22, 2000, 1. Azure, B. L. “Bitterroot Culture Camp to Expose Non-Indian Youth to the History and Culture of the Bitterroot Salish.” Char-Koosta News, June 9, 2011, 12. Confederated Salish and Kootenai Tribes. Fire on the Land (DVD). Lincoln: University of Nebraska Press. 2006. Hill, Lonny. “Treaty History: Chief Charlo Marched from the Bitterroot.” Char-Koosta News, July 30, 1999, 7. Matt, Don. “Mary Ann Topsseh Coombs.” Char-Koosta News, November 15, 1975, 7-8. “New Interpretive Signs Touch on Salish History.” Char-Koosta News, September 3, 1993, 4. Montana Fish, Wildlife and Parks. “Council Grove: Site of the Hellgate Treaty of 1855.” Accessed February 17, 2014. Salish and Kootenai Tribes Fire History Project. “Native Peoples and Fire” (website). See especially, “Fire and the Forced Removal of the Salish People from the Bitterroot Valley.” Accessed February 18, 2014. Salish Kootenai College. Challenge to Survive: History of the Salish Tribes of the Flathead Indian Reservation, Victor and Alexander Period 1840-1870. Pablo, Mont. : Salish Kootenai College Press, 2008. Sessions, Patti. “Tribal Monument Dedicated Monday.” Char-Koosta News, October 18, 1991, 1. “Treaty of Hellgate, July 16, 1855.” Text at Confederated Salish and Kootenai Tribes website. Accessed February 11, 2014.